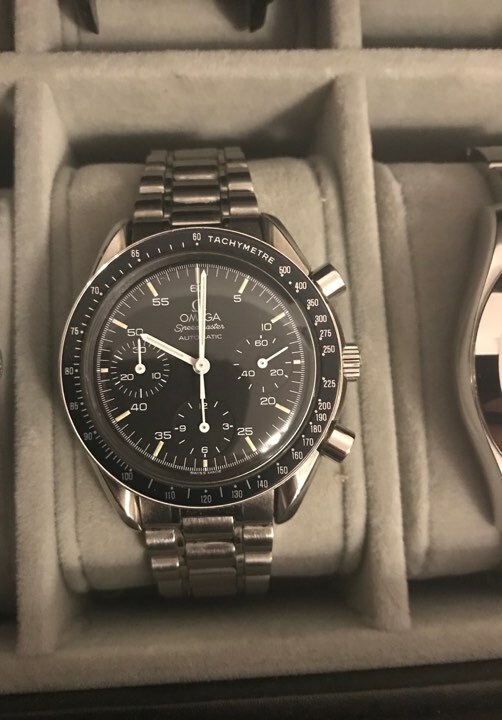 1993 Omega Speedmaster model 175.0032 Cal. 1140 original invoice is no longer available. The watch has been carefully worn by me alternating with different watches. The watch was serviced in August 2015 and had until 08/2017 there are the related documents to show for that. Comes with extra four links, box and papers. Unfortunately significantly damaged original box. Notwithstanding, it still comes with an omega box and an Omega travel bag.